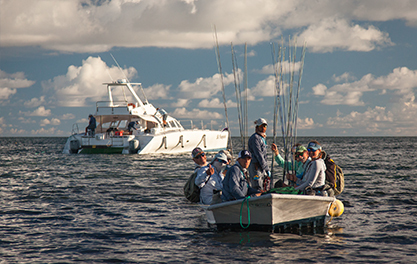 Astove is known as a wild, remote destination that is perfectly suited for small groups. 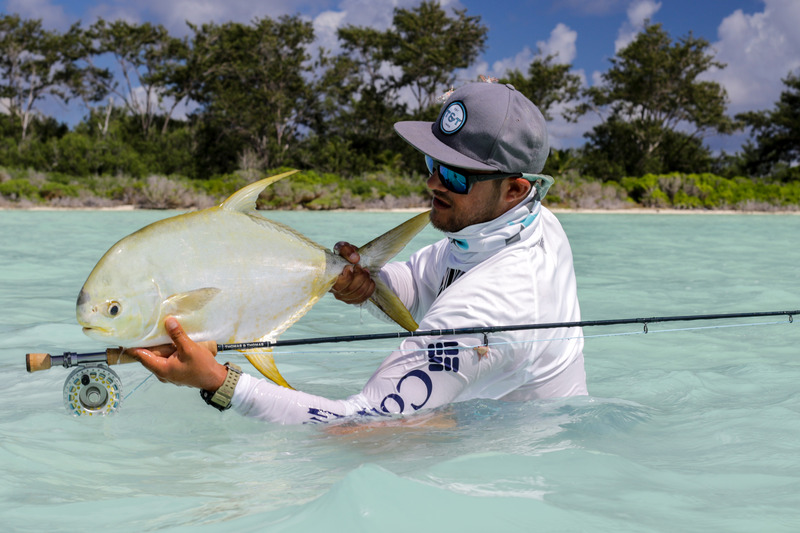 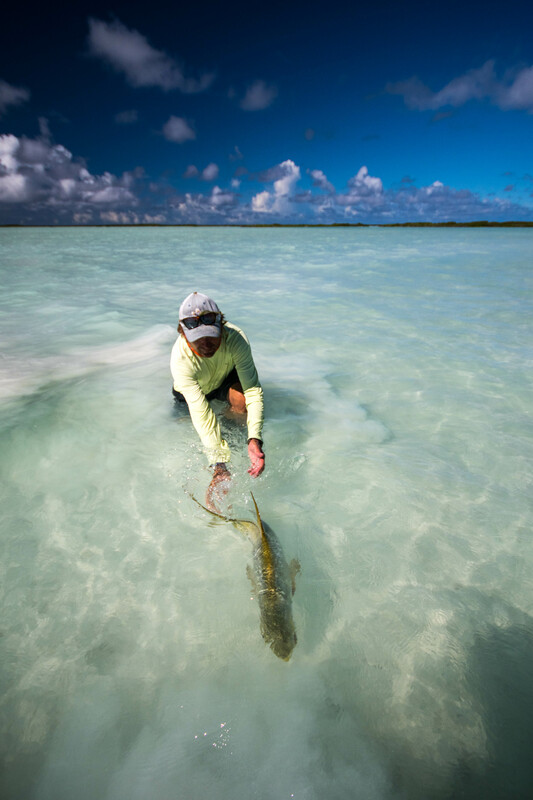 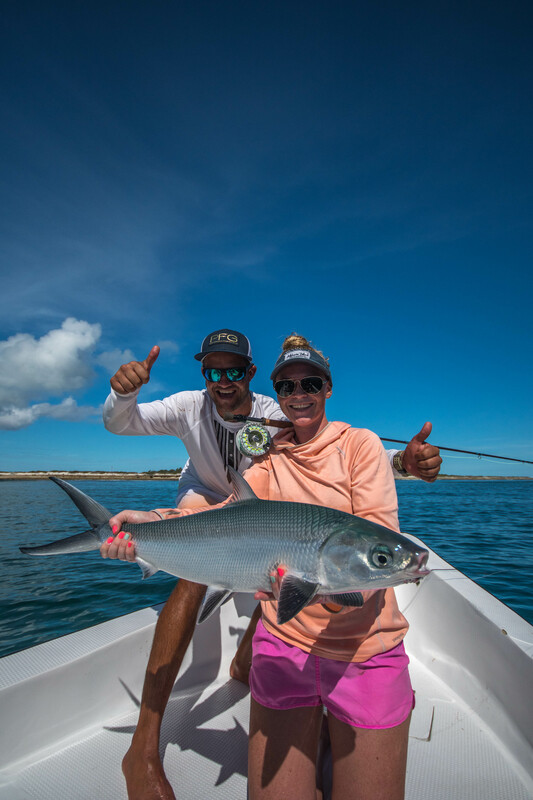 Besides the amazing bonefishing inside the lagoon, it’s a destination where guests go to have a shot at catching a wide array of species and often achieve a ‘Grand Slam’. 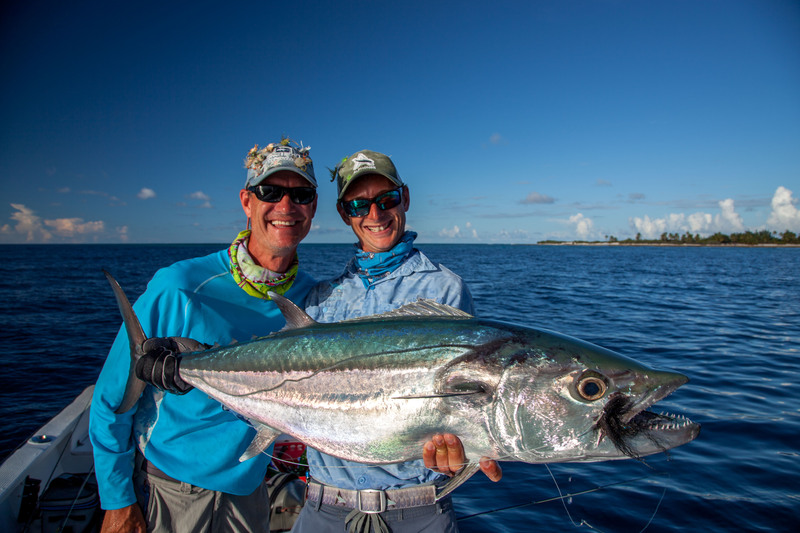 Terry D, Dave H and Jan H returned for their fourth trip to Astove Atoll in consecutive years. 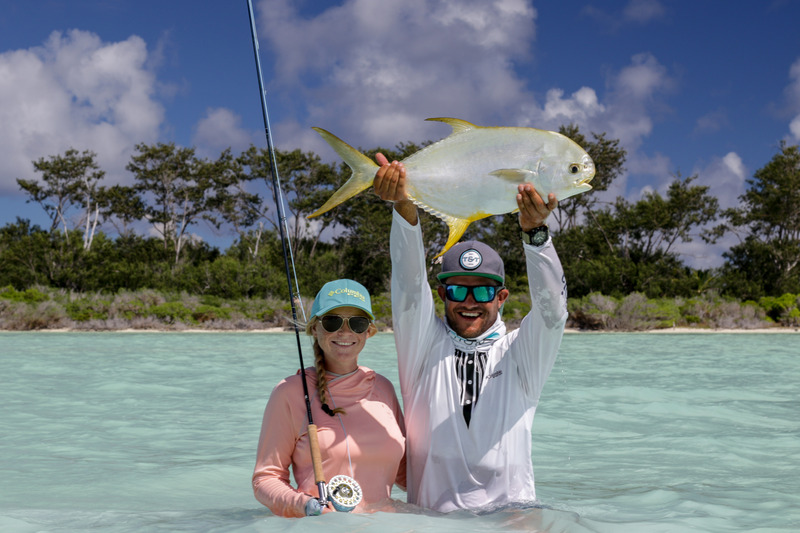 Joining them was Alphonse Fishing Co. team members Tommy H, Devan vd M and Jordyn M.
We couldn’t have asked for better weather conditions; flat calm ocean, great tides and sunny skies. 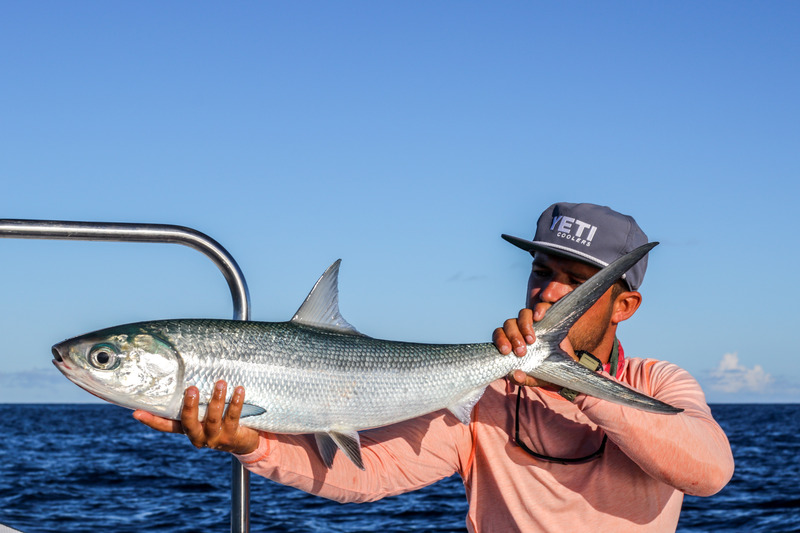 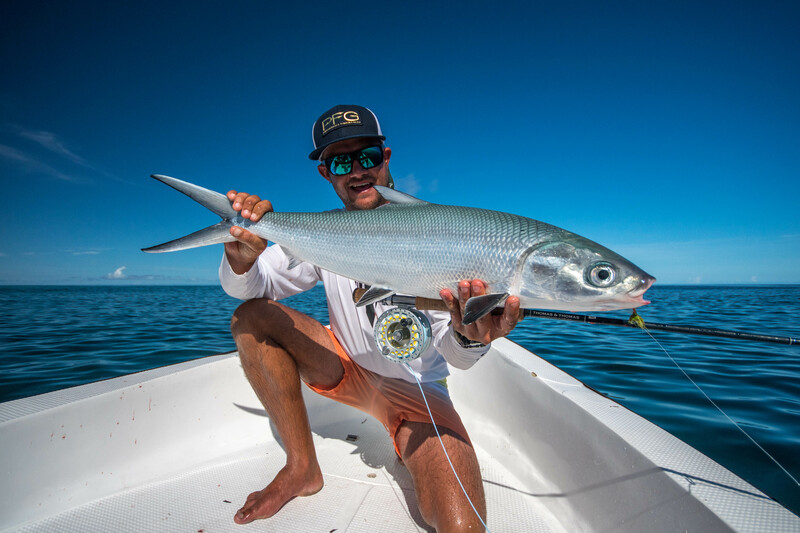 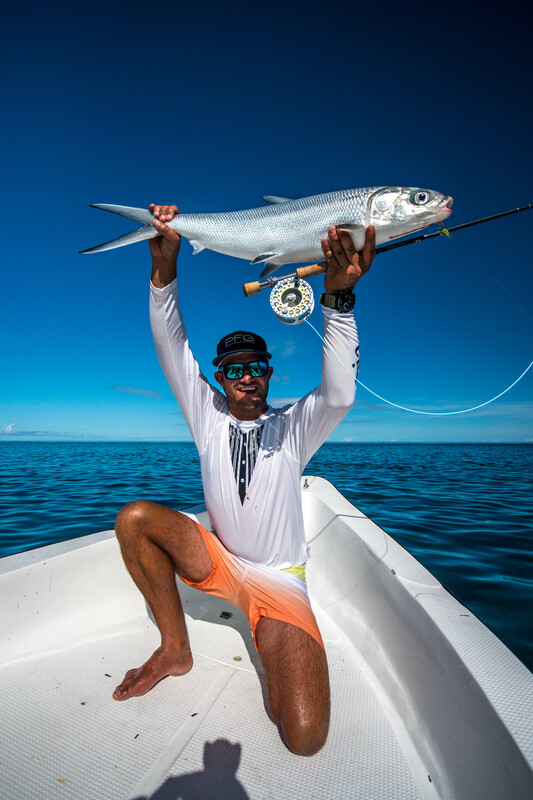 The Milkfish were up to celebrate the great weather and the team took full advantage with 13 Milkfish landed. 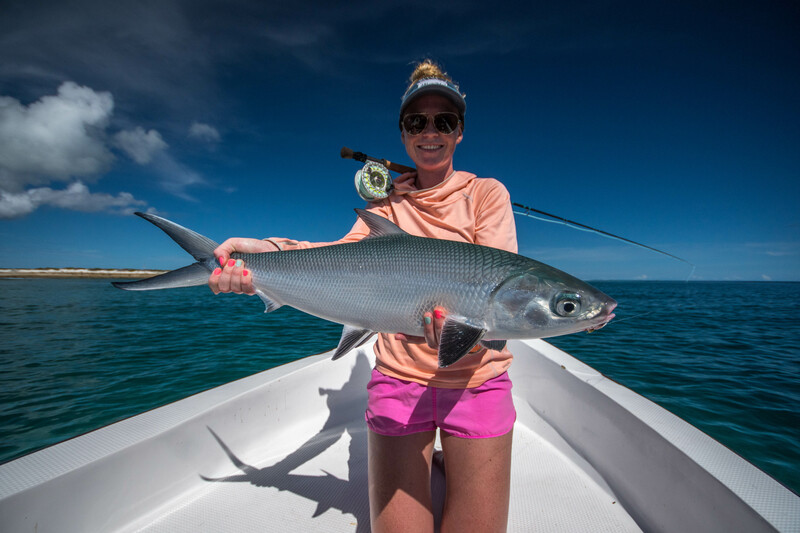 Jordyn ended her week with three Milkfish, catching two fish on her first day. 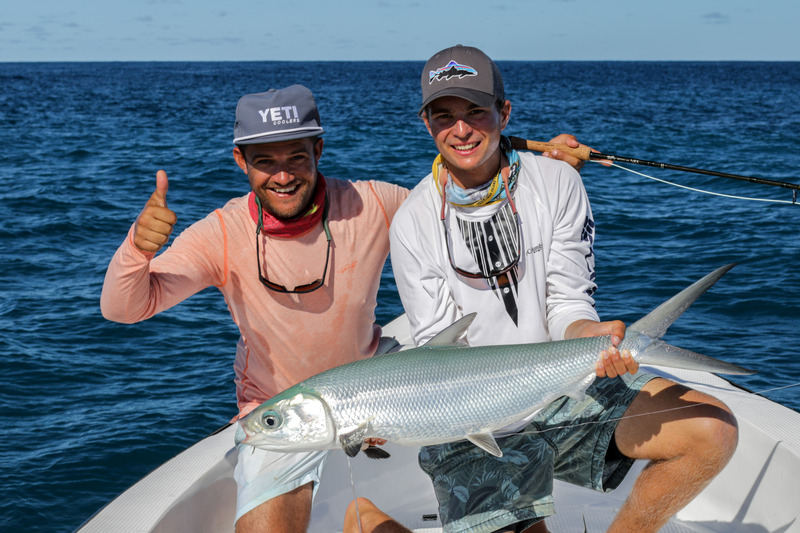 Devan ended up with seven for the week and Tommy with three. 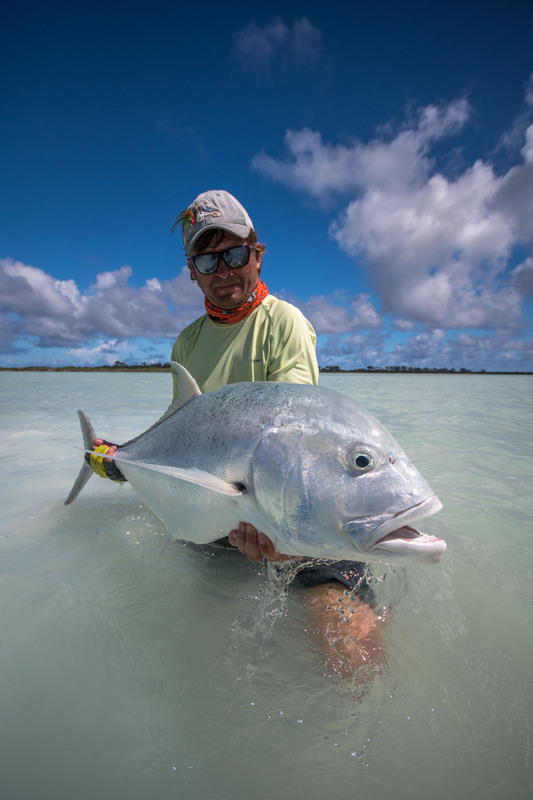 Spending time in the Astove Lagoon is something that has to be experienced as there is no place like it. 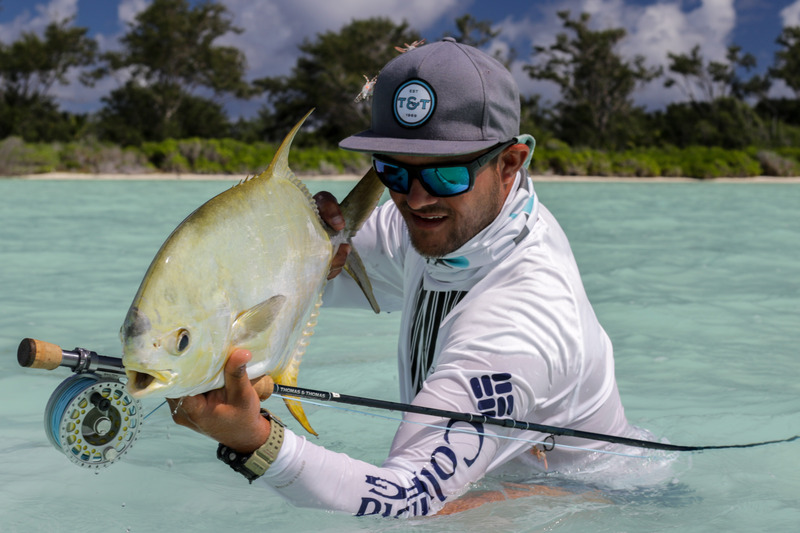 Jan had a day he will not forget as he watched a 15lb Permit tail on his Alphlexo crab-fly 30 feet away and 15 minutes later lifted it out of the water after a nerve-wrecking fight. 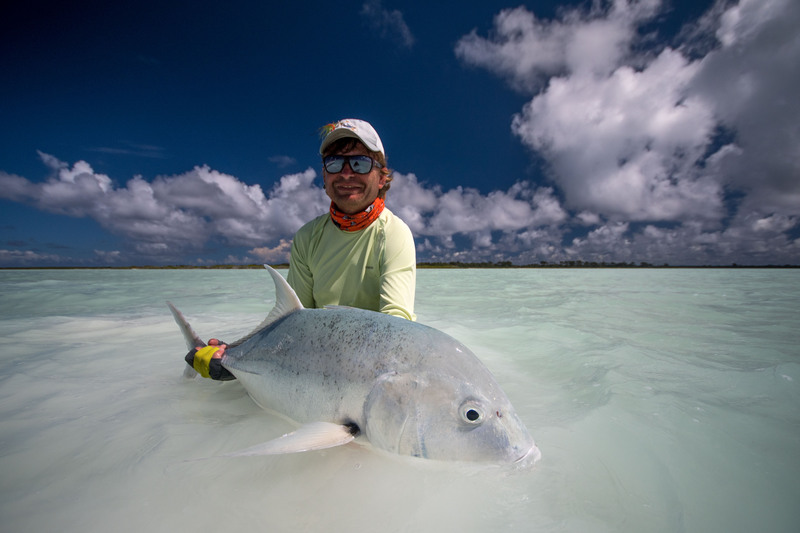 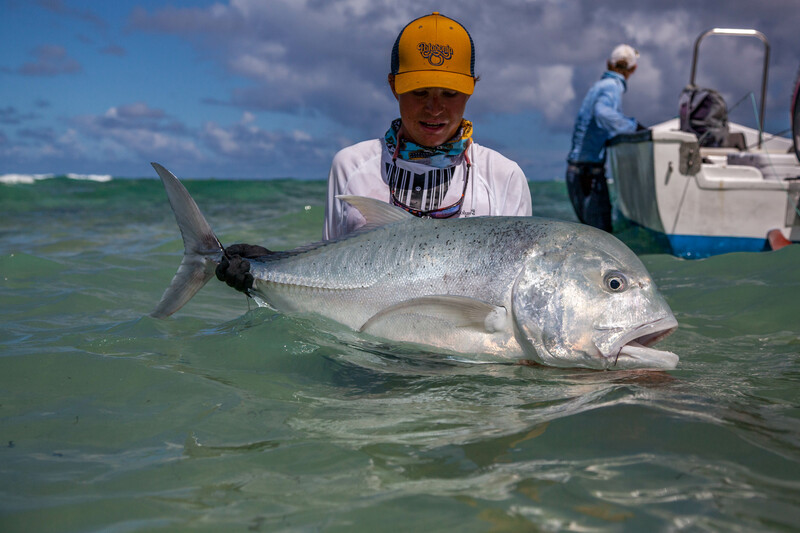 Shortly after, Jan hooked and landed a 90cm GT and a handful of Bonefish to achieve an unbelievable ‘Grand Slam’ all before lunch. 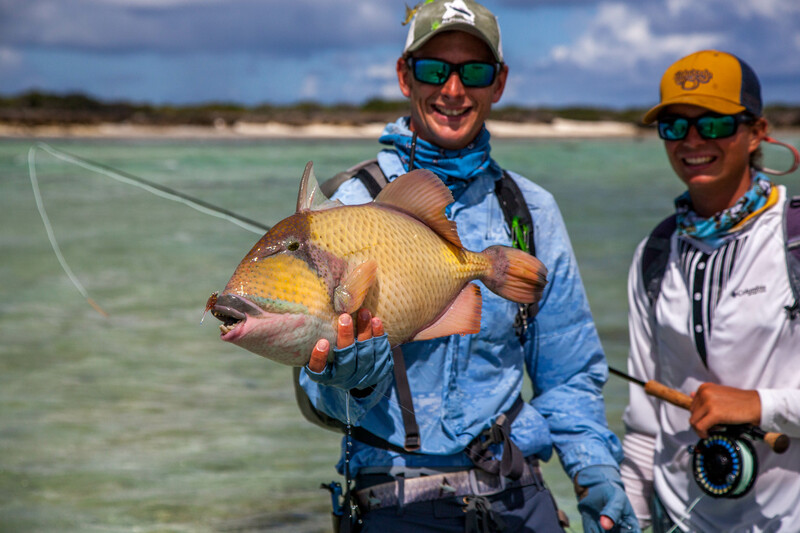 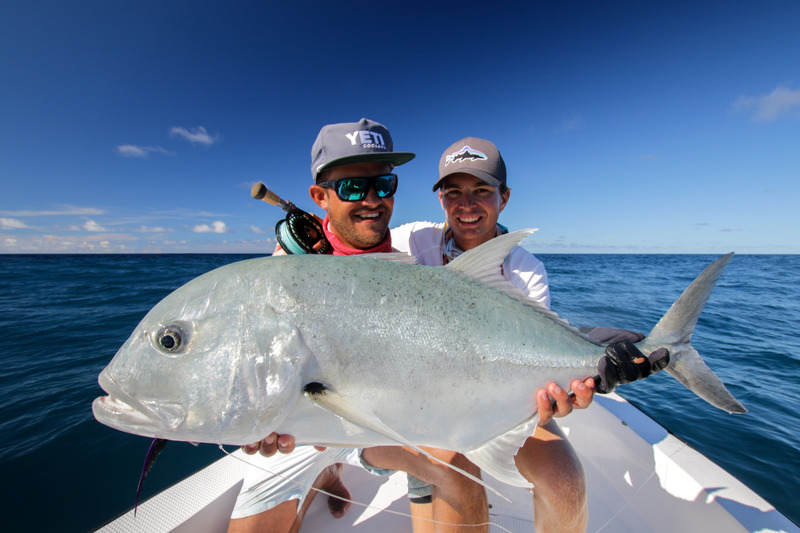 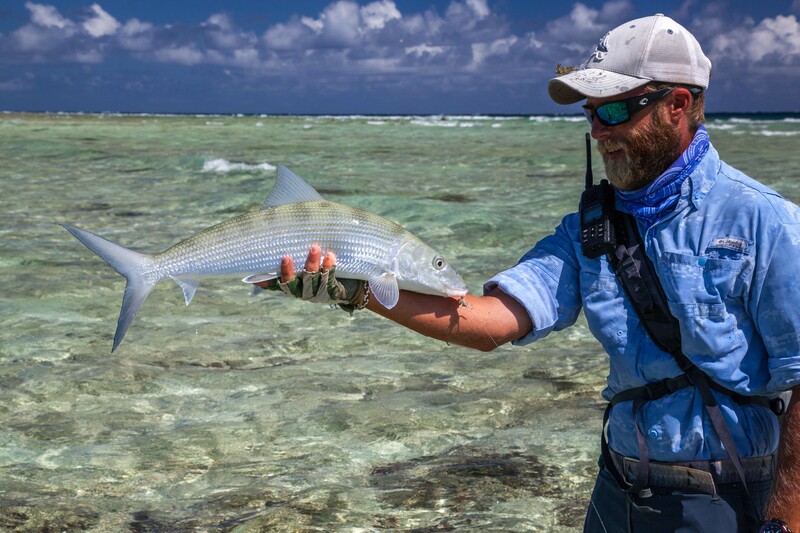 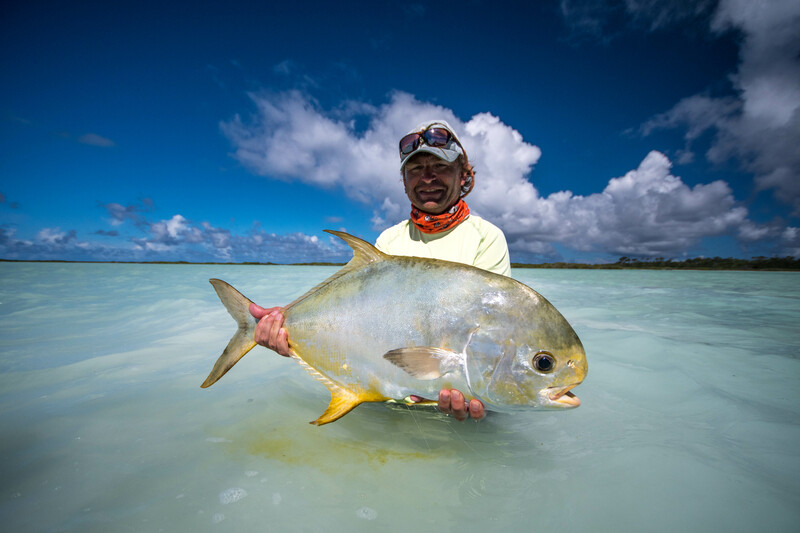 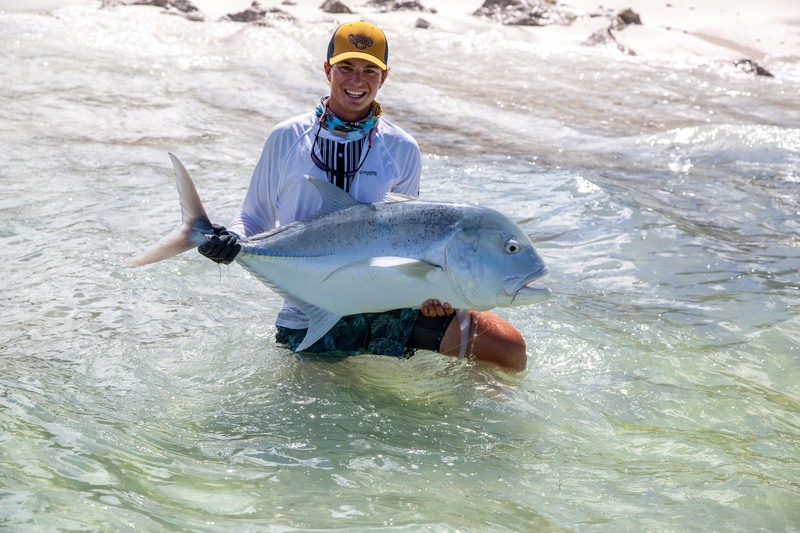 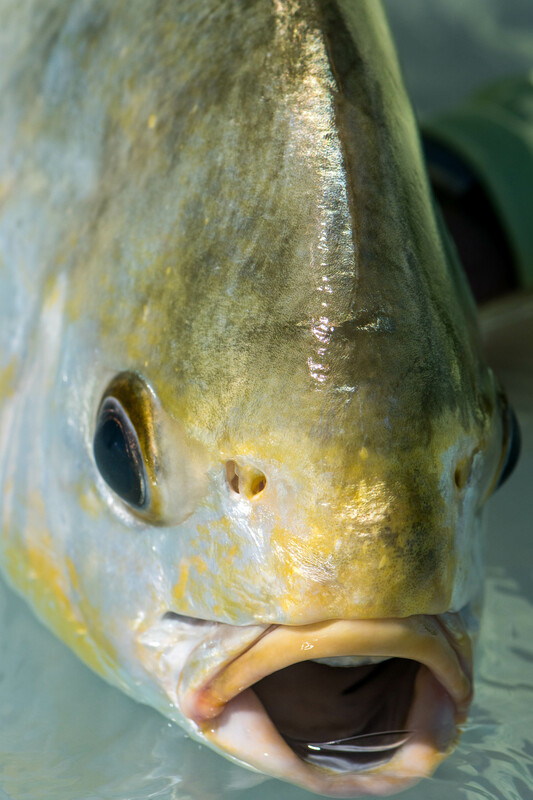 His son Tommy was not to be shown up as he tussled a 105cm off ‘The Cliffs’ and then went on to convince a Moustache Triggerfish to eat the fly as well as a good number of Bonefish to complete his ‘Flats Grand Slam’. 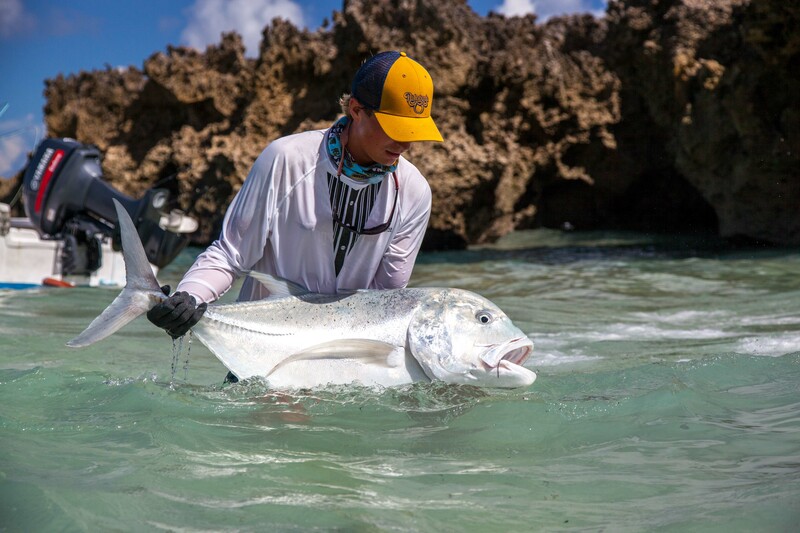 The GT fishing was great with an occasional double hook up. 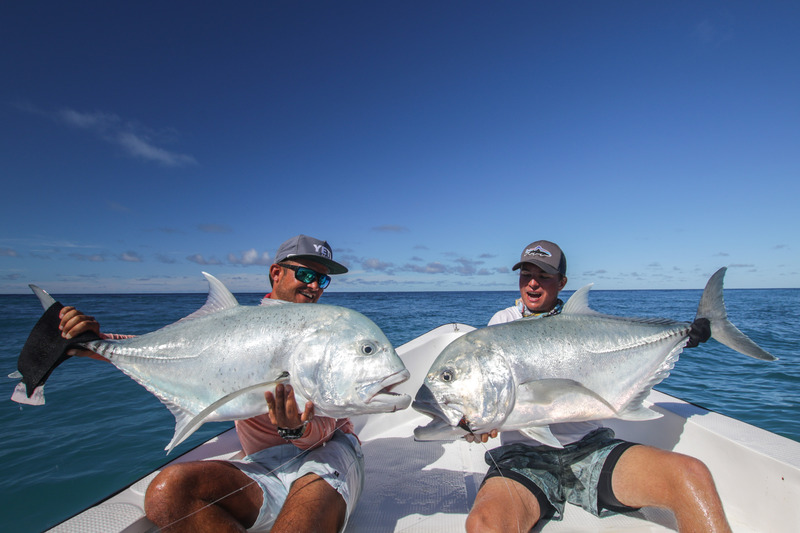 Devan and Tommy managed one in particular with a fish of 102cm and another stretching out at 115cm. 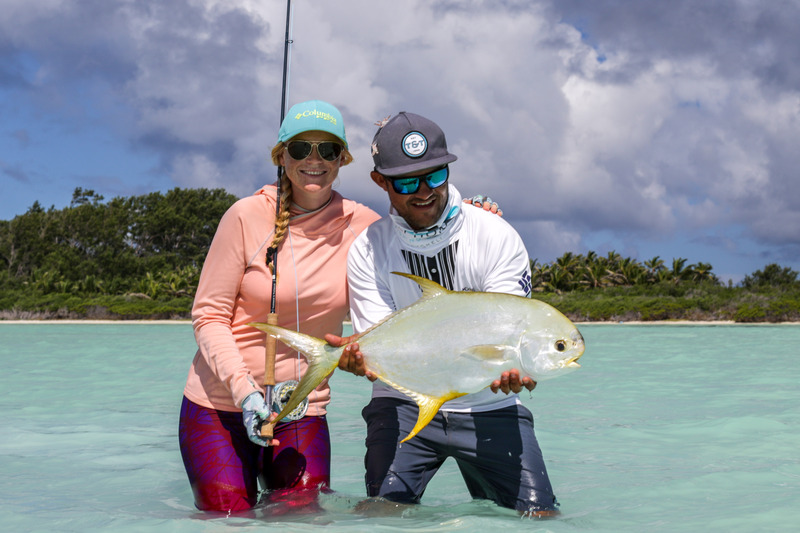 All in all, it was an incredible week of fishing with some unforgettable experiences with great people.